Our mood and emotional health need attention and care. 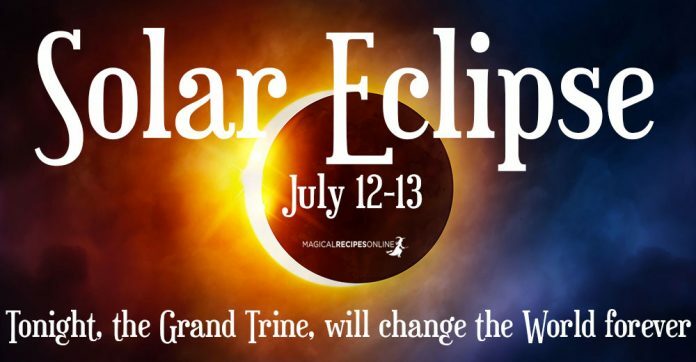 The Solar Eclipse will awake – and most probably has already started doing so – our fears guilt and other negative feelings and thoughts. It does that so that we can realize them, face them and heal them. Nonetheless, the procedure won’t be a pleasant one. It probably wouldn’t be very pleasant even if the aspects encouraging it was auspicious. Even less so under the circumstances. The best thing we can do in such cases takes the initiate. Meditation, especially, can be very helpful. Not only because it’s a calming method, but also because Saturn is in great power. Potions and aromatherapy, which are under Pluto’s influences, can also help a great deal. Also on the negative side, the Eclipse is happening under a strong retrograde activity. Thankfully Jupiter in Scorpio has turned in direct motion, so only 4 of the major planets are in retrograde motion, right now. Five, including Chiron. “Only 4”, though, is the 40% of the planets, so it’s still a strong retrograde activity. This activity brings delays, calls for a slow pace and demands to think and plan carefully our movements. On the other hand, the Eclipse demands agility and speed. This is not a harmonious combination, and that produces stress which will manifest in many forms. But there is some very good news, too. A Grand Triangle is active on the Earth signs. The Uranus from Taurus, Venus from Virgo and Saturn from its own house, Capricorn, are in a harmonious triangle which is almost perfect during the Eclipse and will be active until the 21st. But even after then, Saturn and Uranus will still be in the triangle. And an even stronger, to boot.